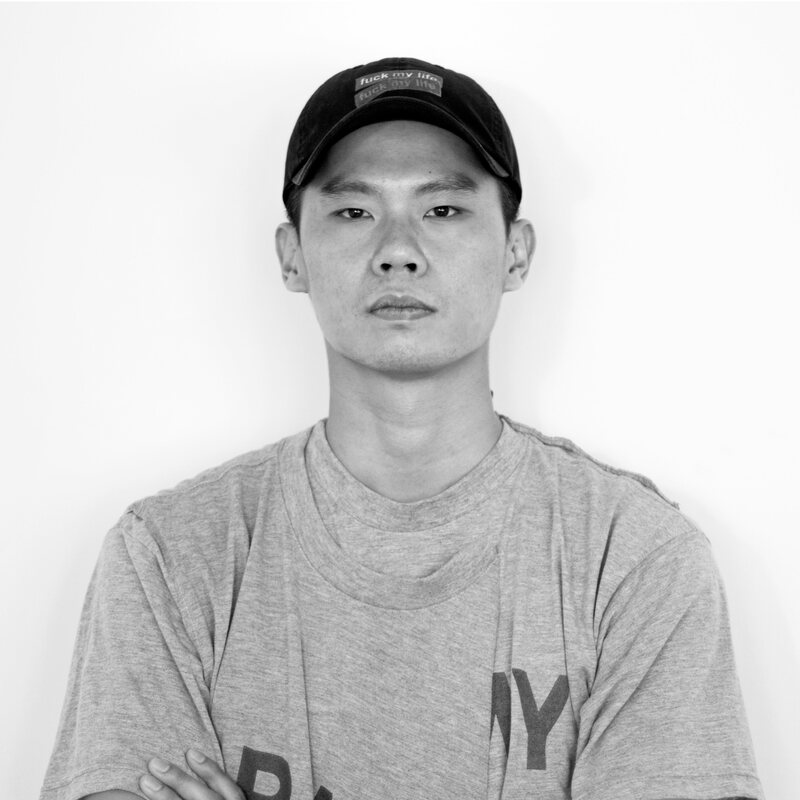 AsianInNY is turning 10 years old! 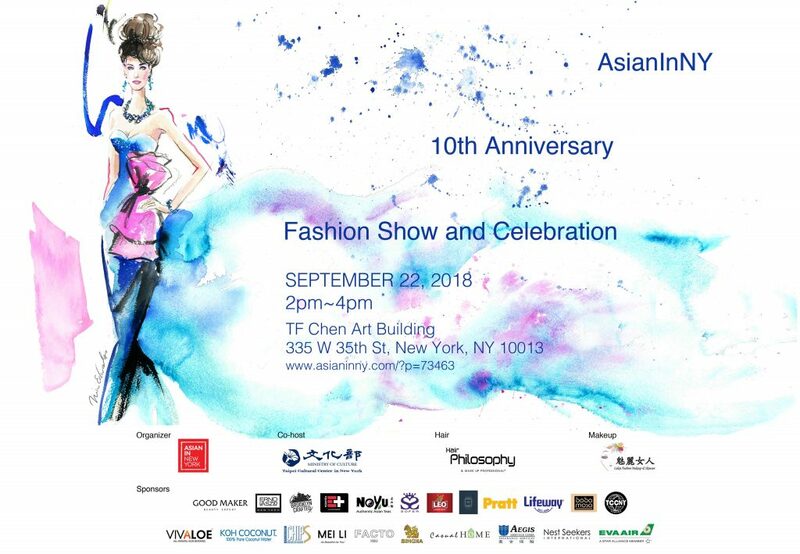 AsianInNY 10th Anniversary Fashion Show will be on Sat 9/22/2018 from 2pm~4pm (door opens at 2pm) at TF Chen Art Building (335 West, 35th St, New York) featuring Asian fashion designers, brands and models. This is the largest Asian fashion runway show in New York. Come join us! – Cocktail Reception from 2-3pm sponsored by Brooklyn Crafted Ginger Beer, BobaMosa, Essentia Water, NOYU Teas, Kefir, KOH Coconut, KOH Chips, VIVALOE, Leo Beer and Singha Beer. 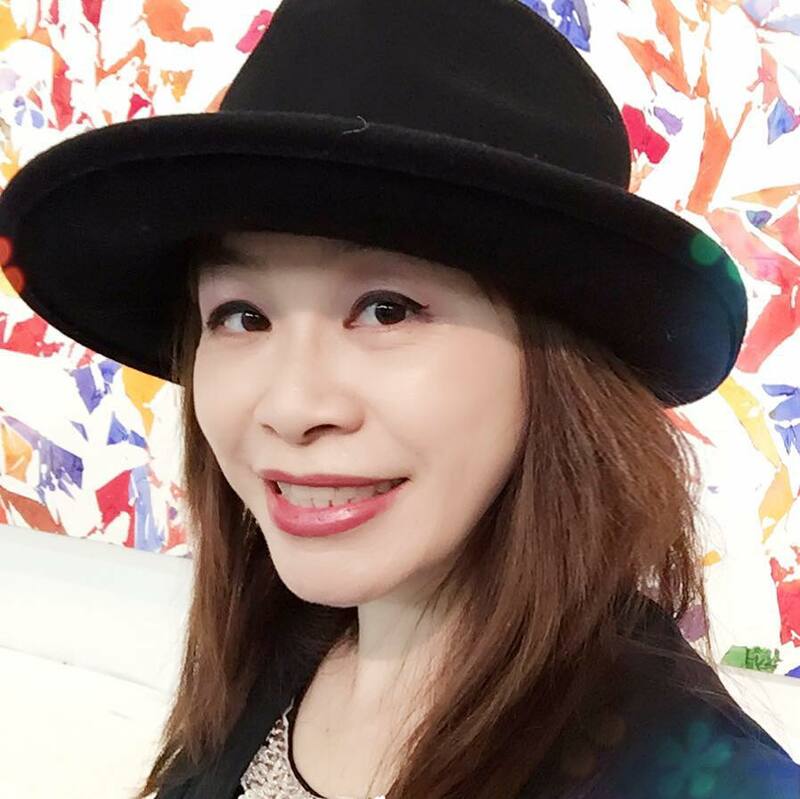 – First 200 people who purchased the tickets will receive gift bags (over $100 value) sponsored by Erno Laszlo, Good Maker Beauty Expert, EVA Airways, Sofer, Casual Home, Aegie Service, Mei Li, TCCNY, Nestseekers, and The Grand at Sky View Parc. – Runway fashion show starts at 3pm. 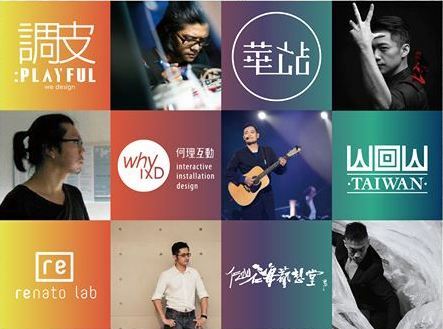 *TaiWonderful performance is a combination of modern dance, magic, original song track and interactive video. The world’s famous “Cirque de Soliel” performer, Billy Chang, is the main director of the show and Afu Ho, the band leader of Sodagreen, is the Producer. 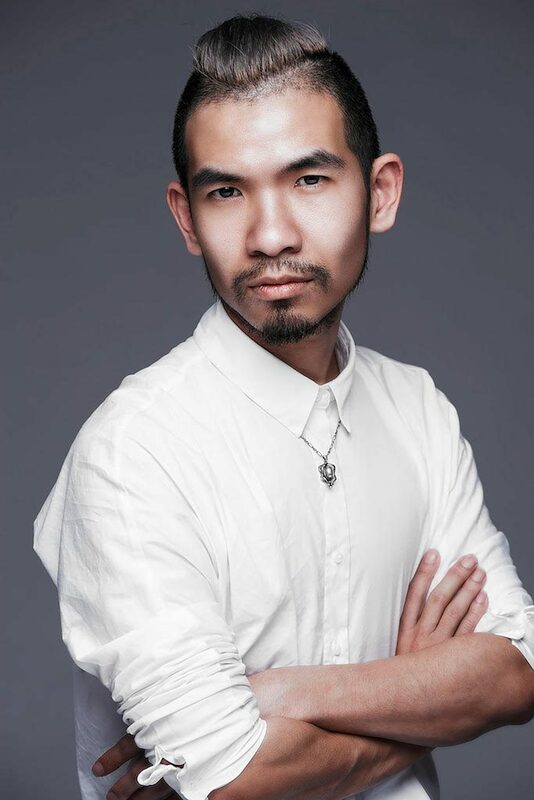 PeiJu Chien-Pott is a world renowned dancer and choreographer from Taiwan. 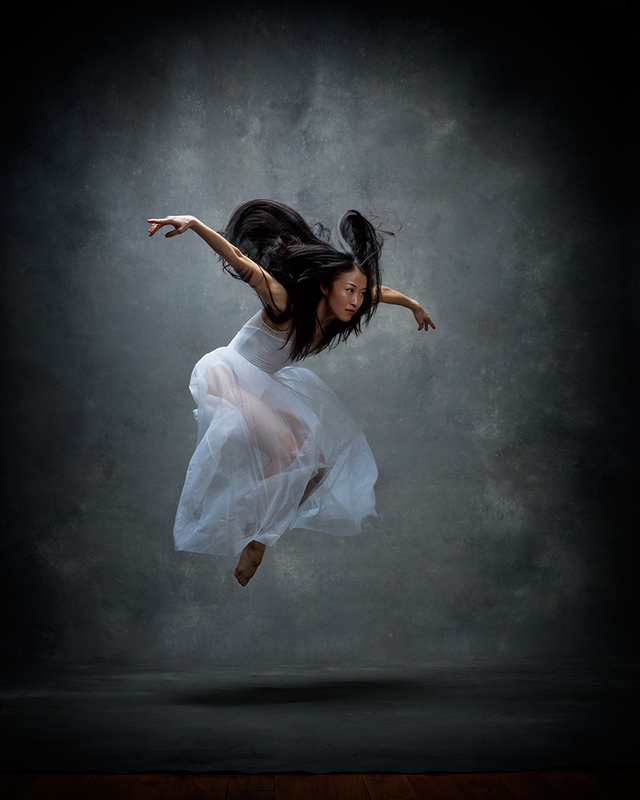 She is an internationally acclaimed contemporary dance artist, celebrated particularly for her work as a Principal Dancer for the Martha Graham Dance Company. She received the Positano Premia La Danza 2014 award for Best Contemporary Dancer, was named one of the year’s “Best Performers” in 2014 and 2017 by Dance Magazine, was an honoree of the “Women’s History Month” by Hudson County and received a 2017 Bessie award for Outstanding Performer. 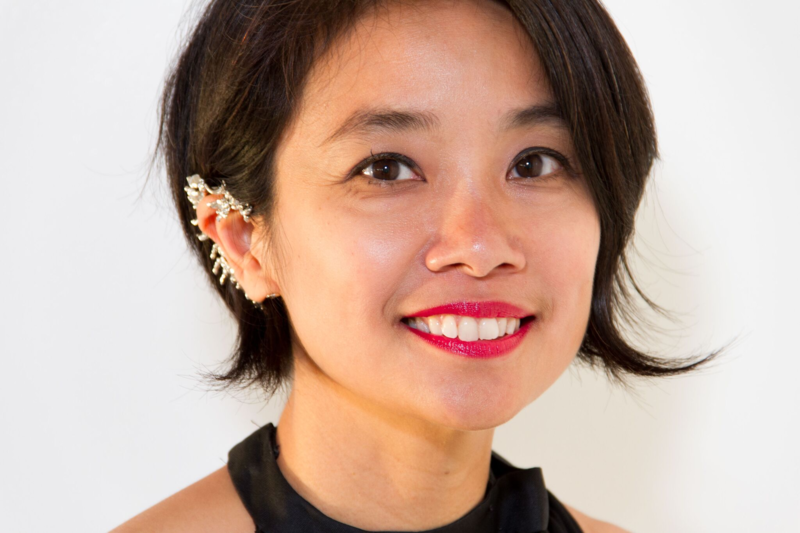 She recently received an Outstanding Dance Artist Award from the government of Taiwan. 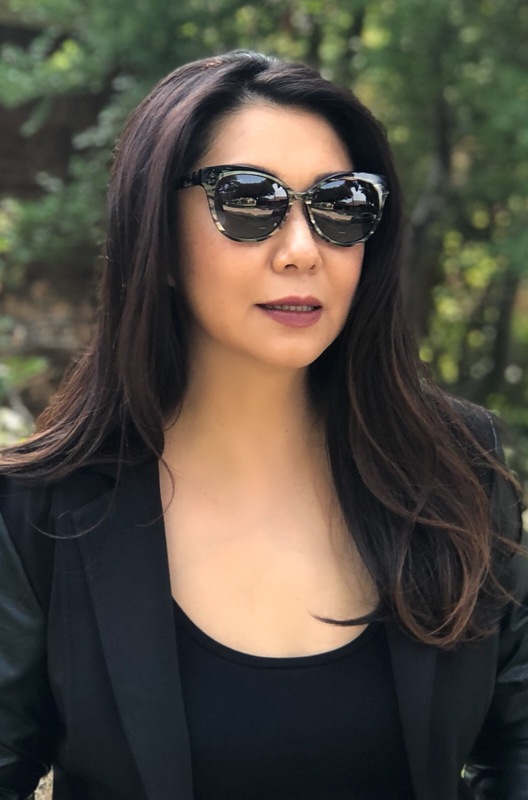 Designer Jessica Chen’s fashion show is proud and honored to showcase PeiJu’s stunning performance. Pamela J Powell is a talented vocalist and had her first stage performance at age of 3 at the “Little Miss Model” competition in Philippines. Pamela can sing R&B, Pop, Hip Hop, Neo soul and anything! She has participated various live contests including Junior Idol, Miss Teen USA NY and Miss NY USA. You can find her songs on iTunes, Spotify, Tidal, SoundCloud and YouTube. No user commented in " AsianInNY 10th Anniversary Fashion Show & Celebration "